The runner Tom Kling-Baptiste underwent surgery on a hamstring injury at Mehiläinen Neo in Turku on Friday 8 March. “Tom had an acute injury, sustained in January at a training camp in Tenerife. The surgery went well and we believe that after successful rehabilitation, Tom will be able to take part in the Swedish Athletics Championships in August,” explains orthopaedist Lasse Lempainen. Meanwhile, the training plans of Australian Olympic runner Madeline Hills have long suffered due to a painful hamstring syndrome. She received surgery on Tuesday 12 March. “Madeline also aims to return to elite-level athletics after her surgery. The Tokyo Olympics in 2020 are her clearest target and, specifically, the 3000 or 5000 metres there. We believe that this will be possible with proper rehabilitation,” Lempainen says. Lempainen says that hamstring injuries are typical for both sprinters and long-distance runners. The posterior thigh is an essential tool for both types of athletes. Injuries happen and most often they are treatable non-surgically. “For these athletes, surgery was the only option if they wanted to continue competing at the elite level,” Lempainen explains. 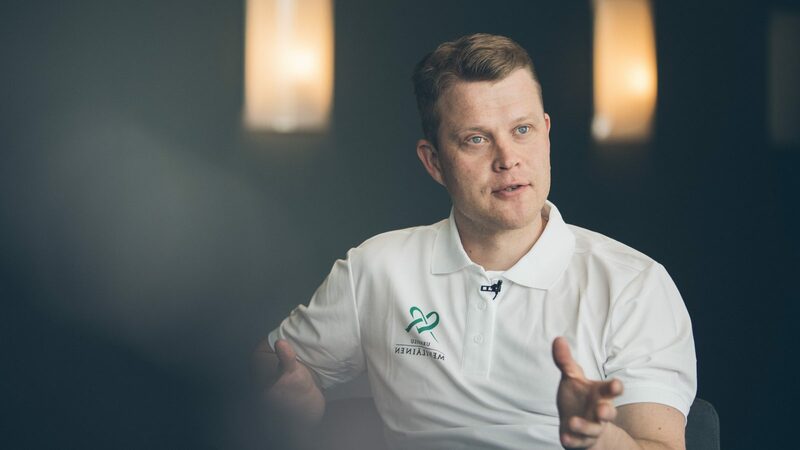 The strong international renown of Mehiläinen Neo Sports Hospital and many athletes’ positive experiences of the hospital’s surgical procedures, facilities and services are bringing more and more athletes from around the world to Turku. “Both Kling- Baptiste’s and Hills’s coaches came across us when searching information on their injuries. They also found positive feedback from other sportspeople and coaches on our expertise in treating hamstring injuries,” Lempainen concludes. Coach Håkan Andersson accompanied Tom on his trip to Turku and received instruction in post-surgical rehabilitation. The rehabilitation plan was made in collaboration between Lempainen and physiotherapist Jari Hemling. Mehiläinen Neo Sports Hospital is a private hospital specialising in the diagnosis and treatment of musculoskeletal disorders. We excel in minimally invasive arthroscopic surgery and the treatment of sports injuries. Part of the Mehiläinen Group, the leading private health care provider in Finland.